Are you looking for a Free Online Plagiarism Checker Software to check all your essays, assignments, articles and other academic papers. Well use Essaymojo Plagiarism Checker. In our analysis and comparison of plagiarism checker tools that are available online today. Free plagiarism checker tools are meant for the basic and intermediary levels for the school and college level literature works. Advanced plagiarism tools are meant to be useful for higher level scientific and commercial content in the form of text and images. Essaymojo.com highlights the features, benefits, and limitations of the free and advanced versions of the tools. Before we proceed, it is important to read. 32 Topics Related To Plagiarism That Are Important To Everyone. When is plagiarism Useful: Whose Knowledge Is It? Plagiarism Free Article. How to Write The Right Way? Plagiarism Detection: How Computer Algorithms Work? Plagiarism is an illegal way of reproducing /copying the literature of an original work without the prior consent of the author(s). The writer may copy the entire content or part. Plagiarism can be at the conceptual or at the implementation levels. Structural Plagiarism: In structural plagiarism, the writer copies the flow of content from the original source. He may use different permutation and the combination of words and sentences to present the subject. He may also change the number of paragraphs and add a few lines of original text. But it is still considered to be plagiarism. Self-Plagiarism: Self-plagiarism is a situation in which the writer copies a part or entire text from his previously published work(s). Direct Plagiarism: Direct plagiarism is a situation, in which the writer repeats every word and phrase as it appears in the original text with his name. He may copy the entire text from the source or part of it. Paraphrasing-Plagiarism: Paraphrasing is a type of plagiarism, in which the writer presents the same concept of the original work by using the synonyms for the words. The final text can be a collection of meaningless content with too many alterations. Many of the free plagiarism checker tools may not be able to detect such violations. But the advanced plagiarism checker tools can detect them through high-end technology. Other Types: The other common types of plagiarism are incorrect citation, accidental, and multi-sourced. Plagiarism testing software could be an online or offline (downloaded) tool which detects multiple types of copyright violation by the writer. It is supposed to be highly advanced with the features of speed, accuracy, and the ability to overcome the plagiarist’s unique techniques for avoiding detection. One such application we can consider here is the Essaymojo.com checker. Plagiarism checker uses a unique set of algorithms for detecting the copyright violation of content. The tools also use many types of models for detecting the plagiarism. An effective tool uses the combination of multiple algorithms and models to detect the violations accurately. Most commonly used models of plagiarism detection are Boolean, vector space, binary-independence, probabilistic, and language, etc. The plagiarism checker software uses many algorithms based on finger-printing, string-matching, citation, and stylometry methods, etc. You can use the free plagiarism checker version for PC and smartphones. They are available in the free and premium versions. You can use them directly on your browser or download and install. Many of the free plagiarism checker tools have word limitations for every document you upload. Some of them restrict it to one thousand words, while the others can accommodate two thousand or more words. The depth of analysis and drill-down will also be limited compared to the premium versions of plagiarism checker software. You can explore the various benefits and features in the following sections. Free: As the name suggests, they are free to use without having to pay any dollars for the software creator(s). If you are a student, they are helpful for avoiding the unintentional violations of copyrights while writing, proofreading, and editing your essay and thesis works. If you are a teacher, they help you filter the copyright violating content by the students and avoid legal issues after online publication. No-Expiry: Free plagiarism checker has no expiry restrictions. You can use them for years without having to worry about the end of the trial period. You may have a restriction on the number of words per document and the number of documents per day. But you can use them since your requirement of plagiarism checking will be limited in the school and college academic fields. Percentage: A free online plagiarism checker with percentage can display the value which is important for evaluation. Many of the academic essays and thesis documents may require between 85% and 90% of genuine content. There could be tolerance of 10%-15% due to the inevitability of duplicate words and phrases from the source. However, the student is expected to specify the citation for the usage of words and phrases. One can also use quotes and indirect speech references to specify the name of the original author. Checking-Options: You can check the plagiarism of a text by parting it into the text box, providing the target URL, or by uploading the text document in DOC and RTF formats. Speed: Free plagiarism checker works within a span of a few seconds or minutes to detect the violations. Links: Best free plagiarism checker can show the links to source text on the original website or online document. It is possible for you to detect the multiple instances of plagiarism for every sentence, paragraph, and phrase. Depth: Free plagiarism checker can detect many types of violations. For example, direct, Mosaic, paraphrasing, and self-plagiarism are some of the types it can detect. Cross-Language: Many of the free plagiarism checker software versions may not detect cross-language copyright violations. For example, a writer may use plagiarism by translating a text from German to English. In such cases, the software may consider it an original piece of content. Language-Support: Many of the free plagiarism checker tools support only a set of limited languages including English. Database-Support: Many of the free plagiarism tools may not provide database support for storing the results and the nested documents. They also may not have any free user-account features for the individuals and educational institutions. Accuracy: The free plagiarism checker software may interpret some of the commonly used phrases in English (or any other language) as a violation of copyright. It may apply for the scientific names, laws (for example Newton’s laws of motion) used in the target document. Since it is not possible to change the order of sentences and word names, it may require human intervention to override such mistakes. There is also a possibility of common language phrases being interpreted as plagiarism. Advanced plagiarism checker is the premium (Premium) version of the software. It gives you an option to check the content on the browser as well as an app. You may download and install the app. Many of the premium versions may not have any limitations on the document length (number of words in a document) and the number of documents per day. Cross-Language: Some of the advanced plagiarism checker tools may provide cross-language detection. It is called as CL-ASA. The system will have a lexical-dictionary, which contains a vast pool of translation and transliteration words in the source and the target languages. The tool can also detect the usage of similar or synonym words in the target language. The other two concepts used by the cross-language feature are explicit semantic analysis CL-ESA and monolingual analysis of the translated text. They use cross-language pairs for the comparison which works effectively. Language-Support: Most of the advanced plagiarism checker tools provide complete support for multiple languages. You can use them for the languages from Europe, the Americas, Africa, Asia, and Oceania. Multilingual dictionaries can also perform grammar and spelling checks along with plagiarism. Database-Support: Most of the advanced plagiarism checker tools provide database support for permanent storage of documents and results. You may be able to retrieve them at any point in time for further references. Accuracy: Accuracy of advanced plagiarism checker tools is close to 99.99% or more. They can detect almost all types of direct and indirect plagiarism within a few seconds to minutes, depending on the length and complexity of the target text. Model-Support: Advanced plagiarism checker supports multiple models of detection. For example, let us consider the vector-space model, Boolean-model, N-Gram model, Fuzzy-Retrieval, and language-model. The system can detect the plagiarism at the conceptual, flow, and direct levels with more than 99.99% accuracy. Advanced plagiarism checker tools also run through many limitations. For example, the word for word plagiarism is entirely different from conceptual plagiarism. If a writer copies the entire concept from a research paper and uses his own sets of words and sentences, the system may not be able to detect such violations. An analysis of the existing techniques used in plagiarism detection will tell you about the strengths and limitations of the tools in general. Statistical-Data: If two research works are about the population growth in a particular city or state over the past few years, the statistical data cannot be different, unless they use different parameters of comparison. The data labels used on the X, Y, and Z axes of the chart and the tabular columns could be the same, but the writer may not have referred to the source document. In such cases, the software may not be able to consider it as unique content. In such cases, it requires human intervention for the analysis of plagiarism. Common-Phrases: Most of the common phrases used in the English language could be found in the target document as well as the source files from which the checker retrieves the information. In such cases, the free plagiarism checker, as well as the advanced plagiarism checker, will face limitations. Scientific-Entities: The scientific or mathematical entities like formula/equation, chemical names, scientific names, laws, and other related entities are universal in structure. The writer should use them without making any alterations to the existing structure or order. In such cases, the plagiarism checker may treat them as violations of copyright. In spite of the limitations, the plagiarism checker software offers a vast range of benefits to the student and the teacher communities. Both of them use a wide range of algorithms and models for detecting the violations. The problem with almost all the plagiarism detection tool is they don’t disclose the method or model used for detection. In such cases, it may become difficult for the users to decide on which tool to select. After researching on a vast range of free plagiarism checker software tools, we have been able to list out a few of tools above. 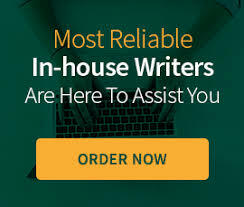 In our analysis, we shall perform a complete analytical review of the Essaymojo.com plagiarism checker software in its free and advanced versions. Essaymojo.com free plagiarism checker with percentage for academic writing is available online. You can submit essays, project works, and extensive research works from the high school level to the college and university levels. The free version of the Essaymojo.com software has many features like report generation, and the suggested actions to be taken on the content after the detection of plagiarism percentage. You can use the application’s vector space model to get the most accurate and faster results. The system can store the present results of plagiarism checker service in its secure database. Project name, date and status are the three parameters you have to use for retrieving the old results. Settings: The key feature of Essaymojo.com software is the settings and configuration. You can get a summary of all daily activities by email. The detailed report can cover all the academic papers and essays submitted by the students to a teacher. The free plagiarism checker for teachers has two language options for English and German. The system can show multiple items on a particular page, depending on the value you specify in the settings. Word-Count: Essaymojo.com Free version allows you to check up to five thousand words for a single document. You can compare multiple documents within a day with the free version. Links: The system can mark links to the source from where the writer has committed the plagiarism. Account: The Essaymojo.com free plagiarism checker tool lets you create an account in its database. You can use it for an unlimited period of time without any restrictions. Essaymojo.com advanced plagiarism checker offers much better utilities for users. You can always upgrade your account by choosing the light, standard, and premium editions. Cost per page of scan is stated to be very low for the student and the teacher communities. Monitoring: The system can monitor up to 500 website links and more consistently. You can buy additional credits to your existing account at any point in time. The license models have multiple plans for the exclusive use of students. Student Benefits: Students can buy credits only when they need to use the advanced plagiarism checker software. 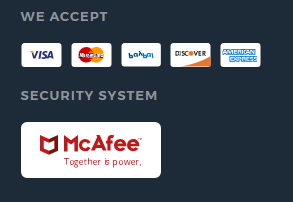 The system allows them to continue with their accounts without having to enter into a contract. Teacher Benefits: Essaymojo.com is among the top recommended tools for academic plagiarism checking applications. Teachers can use the application to check an unlimited number of pages within a short span of time. Data Security: Data security is one of the key elements that determine the efficiency of an advanced plagiarism checker. Essaymojo.com uses SSL certified transmission mode for your data from your browser to the server. The system offers unlimited storage option for the academic plagiarism applications. Graphical Content: The Essaymojo.com advanced plagiarism checker lets you compare the graphical text interface between your document and the sources which to which it refers. Essaymojo.com can check your target document with millions of online original sources. The user interface is simple and fast. You can paste 2000 words of target text for a document directly into the text box window. The Essaymojo.com advanced plagiarism checker gives an option of uploading the target document for detection. You can also choose a file from the cloud server. The first step is to create a premium user account. You need to input your email address along with your name. Then the system allows you to use the drop-box facility for uploading the source document. The third option is to choose a file from your Google Drive. You can log in with your existing Gmail account. Choose the file from your Google Docs and upload. The system is fast and accurate in checking the plagiarism percentage. There is also an option for checking the grammar of the text, which leads you to Essaymojo.com website. Share: You can share your plagiarism reports on your social media links. Google-plus and Twitter are the two unique social media sites on which you can share the reports. You can log in to the social media network with your user credentials for sharing it with your contacts. The system allows you to share the reports with one or multiple contact accounts. Download: Download option gives an option to save the report onto your system’s hard drive. The statistical data gives you information about the words, characters, date, plagiarism percentage, unique percentage, plagiarized sentences, and unique sentences. Links: The system gives the links to source documents and URL from which the plagiarism problems were reported. Since the report is for every sentence in your target document, it is possible to check the errors accurately. You can also make the corrections immediately to overcome the plagiarism problems. Submissions: The Essaymojo.com free plagiarism checker gives you an option for re-submission of the same document after making corrections. Then you can reduce the errors to the minimum levels according to your specific requirements. Report generation and download options are available for all the versions of the document before and after correction. Essaymojo.com Premium (advanced) version also offers you a higher level of checking and reporting. The exclusive plans offered by the system at affordable prices have the following features. The basic and business plans are stated to be sufficient for the academics and research applications. 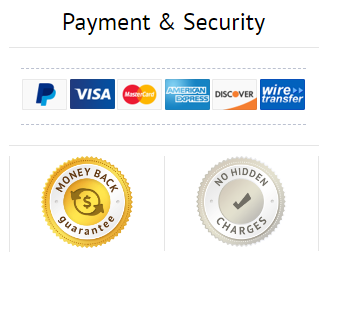 The system allows multiple-user login with no recurring charges. Essaymojo.com for Microsoft Office works for MS-Word and MS-Outlook. The system offers you many inbuilt features along with the plagiarism checker application. You can read about some of such features here. Spell Check: The spell check of Essaymojo.com can detect the difference between UK, US, Australian and Canadian English. It can suggest the correct spelling for simple to complex words very easily. The Australian and New Zealand version of English is almost similar to the UK version. However, there could be certain words which are entirely unique. For example, Barbie is a word which means barbeque. Essaymojo.com can detect the version and allow you to use them without having to correct. However, it can offer you the option to choose from a list of alternate words. Al the words with typical Australian-slang will be taken from the respective Essaymojo.com dictionary. Similarly, you can find the options for other accents on the Essaymojo.com dictionary. Grammar Check: The grammar check of Essaymojo.com can detect misplaced hyphenation, missing hyphenation, helping verb misuse, passive voice misuse, and other types which range up to 250 types. The app gives you the options to correct the mistakes with the help an active online assistant. The system can easily detect the difference between the naturally written text and the copied and pasted text. Then the system can display an error message about the way in which the sentence formation is done. Then you can take appropriate measures to delete such sentences and rewrite them using the natural flow. Flagging: The Essaymojo.com advanced plagiarism checker has the option for flagging the grammatical errors from the original document. Then it corrects the mistakes and creates a new document for you to download. It is possible for the cloud server to save the edited and original document in its database. You can download both of them and compare with the help of flagged and corrected words and sentences. Essaymojo.com-Keyboard: The Essaymojo.com app has a unique keyboard option for the IOS and Android systems. The system can detect the mistakes as you type. It performs the task of spelling, grammar, hyphenation, punctuation, and provides you with the option to enhance the vocabulary with synonyms. The keyboard option can integrate with any of the Smartphone and tablet systems having IOS and Android OS. The setup wizard works in simple steps to install the entire set of options. Descriptive Corrections: The Essaymojo.com software gives you brief explanations for every correction it makes. Then you can get to know the exact mistakes in your source document. It is possible for you to improve your vocabulary and avoid repeating the same mistakes. So, the tool is not just correcting d software, but also a trainer which teaches you the basic and advanced rules of Grammar. Auto-corrections: Essaymojo.com advanced plagiarism checker has the option of correcting the mistakes automatically. So, you don’t need to wait for the completion of typing before you start the correction process. The Essaymojo.com advanced plagiarism checker also works for MS outlook email document. You can download and install the app on your IOS or Android-based Smartphone. Then it is possible to enable the extension within Outlook. Whenever you create a new email, edit an existing mail, or create other types of documents in Outlook, the Essaymojo.com software can check the plagiarism, spelling, and grammar. Auto-suggestions are the best ways of correcting the mistakes. Essaymojo.com for Google Docs: Essaymojo.com can check all your Google documents from the server. You need to install the required extension on your browser. If you are using the Essaymojo.com advanced plagiarism checker app, the inbuilt options have to be enabled. Then you can continue using the feature. From Disk: You can upload the word document from your hard disk or other storage space. The upload sped is very fast and accurate. The document gets uploaded onto the Essaymojo.com server. It opens the spell check option along with the assistant. You can perform the plagiarism check at the end of correcting the spelling and grammar mistakes. Cloud Server: The cloud server of Essaymojo.com has a huge database of vocabulary from multiple accents of English. It compares every word in every sentence with the database. It can detect incorrect spelling, missed out letters, reversed letter order, and other types of spelling mistakes easily. You can perform the plagiarism check at the end of correcting the spelling and grammar mistakes. Essaymojo.com advanced plagiarism checker allows three formats of documentation which include the Modern Language Association (MLA), American Psychological Association (APA), and the Chicago Manual Style which is also called as the Turabian format. The proofreading option of the app has the following options. MLA Format: Essaymojo.com checker can detect the MLA style of plagiarism, which includes the unauthorized copying of words, sentences, and ideas from the original document without giving citations. Paraphrasing plagiarism is one of the key issues in MLA format. The Essaymojo.com advanced plagiarism checker can detect it, no matter how well the writer has twisted the sentence formation and made use of synonyms to the original words. APA Format: Plagiarism of the APA style is mostly related to the scientific and sociological concepts from the original creator. Some of the examples include the newfound formula, conversation, quoting, paraphrasing, incorrect citations, and other related text copy and spin. The manual style of proofreading may lead to complications and confusions which are not easy to solve. You may try the free plagiarism checker from any of the online applications. Some of them can differentiate the writing style only to a certain extent. But they can detect the level of plagiarism to a higher level. However, they have a limitation for the word –count, the frequency of checking, and the number of online searches for detecting the original source documents. Essaymojo.com advanced plagiarism checker is available on the premium version. It can search more than two hundred thousand sites on a single click for a single word and phrase. The algorithm of the system is much faster than any of the free online plagiarism checker with percentage. It can extend its search into the core of all the 200,000 original documents to give you the most accurate results. Turabian Format: In-text citations are similar to the MLA style. The format incorporates the use of foot-notes and end-notes into every text and at the bibliography. Plagiarism of the Turabian format includes all the options that are available on the MLA and APA; In addition, it checks the notes and relevant sections for plagiarism. Other Formats: The Grammarly advanced plagiarism checker can accommodate many other formats from around the world. It can also check the unformatted text with or without headings and subheading. Essaymojo.com checker uses a series of plagiarism detection algorithms. Though they don’t state the methods explicitly, it is possible for you to detect some of them based on the reports and links it generates using the target document. Google Search: The basic type of Google search allows Essaymojo.com to list out all the sources in which the phrases and sentences are found. It could be based on the keywords, key phrases, and the entire sentence. Using synonyms will give added power to the Essaymojo.com plagiarism checker to widen its search. The filtering mechanism allows it to restrict the documents to the relevant topics and titles. It is the feature which helps to detect the plagiarism and to ignore the accidental occurrences of words and phrases in the unrelated online documents. Machine-Learning: Essaymojo.com advanced plagiarism checker has many added features compared to the free plagiarism checker versions. The major development is the detection of plagiarism, grammar mistakes, spelling mistakes, and other forms of errors based on machine-learning. The system can detect new types of forms of plagiarism because it can store the previously detected patterns in its database. The mechanism can detect any new plagiarism technique used by the target document writer with the highest accuracy. The system based on Artificial intelligence can develop new algorithms based on the changing plagiarism patterns. Dataset-Mining: Dataset mining is stated to be one of the key algorithms used by Essaymojo.com advanced plagiarism checker. The system depends on a vast database for matching the words and phrases with the original web pages, documents, spreadsheets, presentation slides, and sources. Mining is essentially a drill down process in which the system converts the source document into a series of search branches and sub-branches. It begins the search from a specific point and covers the entire document from the start to the finish. The recursive process continues until the phrases on the target document are matched with the source. The incredible feature of Essaymojo.com free plagiarism checker is its ability to speed up the search and detect process across billions of websites within a few minutes. The duration may vary, depending on the size and complexity of the target document. But it can deliver the results quickly for the longest documents you can submit before you lose your patience. Boolean-Algorithm: The Boolean-Algorithm of Essaymojo.com free plagiarism checker for teachers makes use of the Has-sets. Each hash-set contains a list of words and phrases used in that document. It is the index table from which Essaymojo.com takes the references. Then the detection happens faster. There will be no need to search the entire length and breadth of the document. The Boolean algorithm works well for the Essaymojo.com free online plagiarism checker with percentage since it can count the number of duplicate occurrences. An internal counter keeps track of all the statistical data. Finally, it compares the genuine text in the target document. A quick comparison gives you the percentage of genuine content in the whole text. Speed and Accuracy: Essaymojo.com plagiarism checker has top speed and accuracy ratio among the existing plagiarism checker software systems. The time required for checking is trivial compared to the size and volume of data it handles in every checking. Unlimited Database: Essaymojo.com advanced plagiarism checker offer unlimited database space for the documents. You can store them after checking for plagiarism, grammar, spelling, and related parameters. Easy Accessibility: Essaymojo.com checker is the best free plagiarism checker since it is easily accessible on your PC, laptop, as well as IOS and Android-based smartphones. The user interface is compatible with all the devices. If you are searching for the free plagiarism checker for teachers, Grammarly is the first tool that you can consider. Two Versions: if you want to have the features of an advanced plagiarism checker, Essaymojo.com Premium is the right tool. It gives you access to billions of online websites and scholarly documents which the system uses for detecting the plagiarism. You can trust the output generated by the system for 100% accuracy.